I’ve been back on the Melbourne shuttle a little lately. A couple of weeks ago, I was walking “hotelwards” along Flinders Lane. Back in the early 2000s, I spent plenty of time in this part of time, so much so, the hotel I stayed at (no longer there) monogrammed a pillow slip for me. Many a post work libation was had at the Bull & Bear Tavern, which I found myself walking past this particular evening. The front bar has not changed at all, though they’ve made the property work harder for them so they were holding Cha-Cha classes in the back bistro. It was a quiet old night, so I pushed off having ticked off the reminiscence. Five steps on up Flinders Lane I hear some noise coming from a basement. Sure enough, a Flinders Lane special. 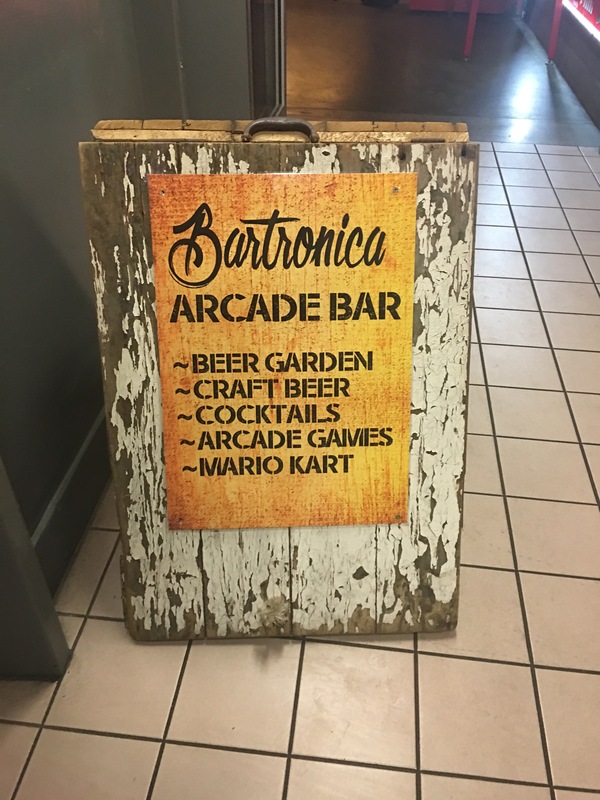 “Bartronica – Arcade Bar”. This place has been open since 2015 and is a terrific concept. 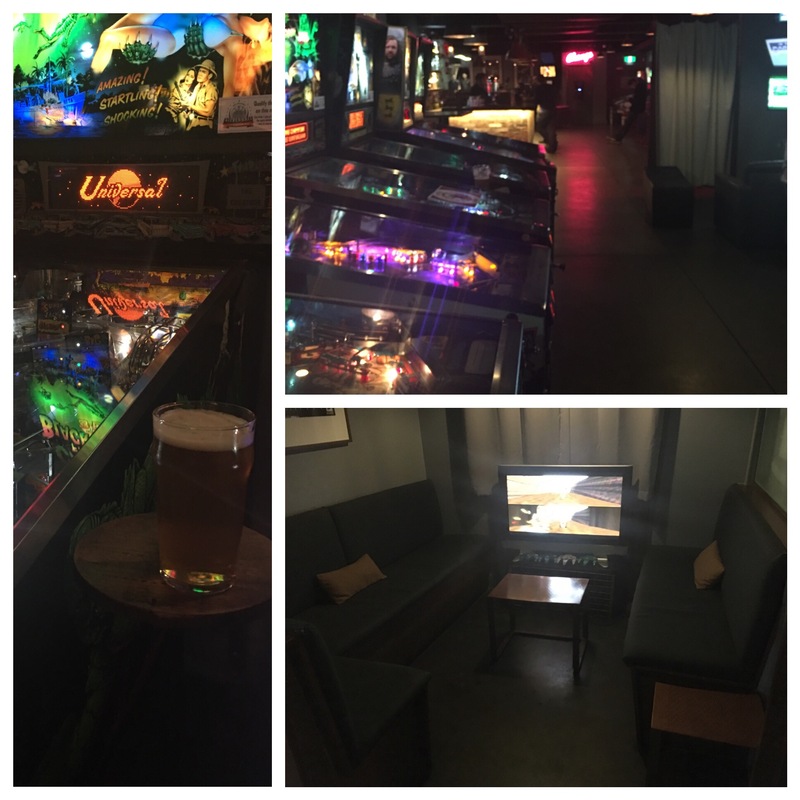 I’ve never been a “gamer” in any generation (Atari, Space Invader, Galaga, Ninitendo…and I’m drawing a blank), but I’ve always loved a game of pinball. These guys aren’t the first to have a bank of pinnies in a drinking establishment, but there’s an impressive range and I haven’t seen the purpose built schooner table before. What I hadn’t seen before in a bar was the semi private booths that allowed 4 people to sit on couches and play four handed console based (?) games (don’t ask me what). Just like home, but in a bar. There was a couple of classic arcade games from the 90s like NBA challenge. I just enjoyed seeing early computer animations of the 90s Hornets, Cavaliers and Supersonics jerseys. 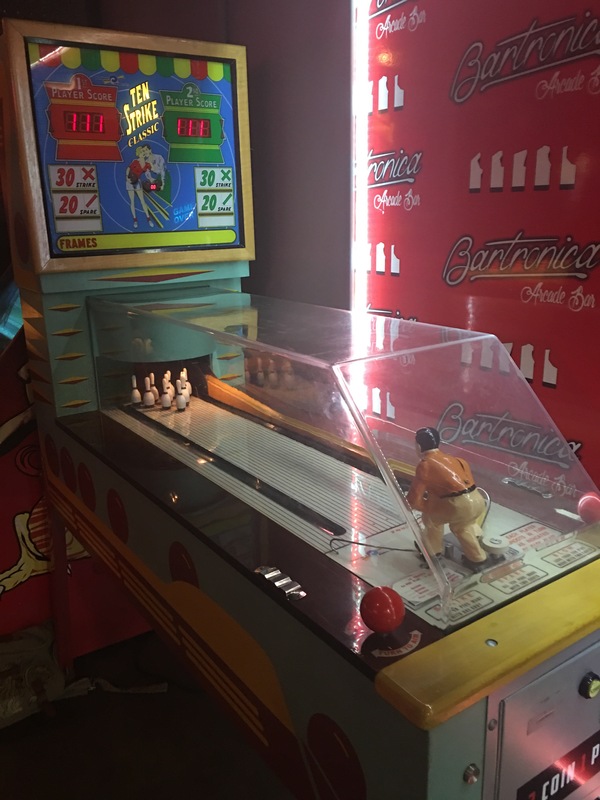 At the front entrance was a vintage bowling game that looked beautiful. From a booze perspective they do cocktails, spirits and an eclectic range of craft in bottles. There’s at least four taps with joysticks for tap handles. I wasn’t really expecting a unique, but happily found one from a brewer so obscure they don’t appear on Crafty Pint’s site or Craft Beer Reviewer’s list of 417 Australian brewers. 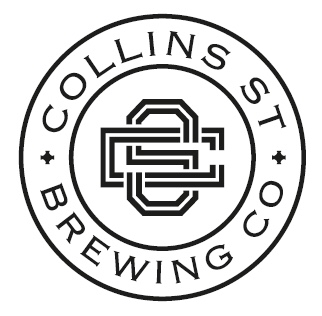 Collins St Brewing Co looks like they make one beer called Once Bitter. It is a pretty straight up pleasant Golden Ale designed not to distract whilst you play. A summer special and the world’s most informative website. Bartronica also has a beer garden out the back (not sure if there are game). Great little place and great to be back in Flinders Lane.